I honestly cannot believe I'm sat here thinking about another year gone by, I know most people say the same thing but honestly this year has felt like it's flown by for me, the first and not so great half seems like a life time ago in a way, its certainly been an eventful one and not always in a good way , I'd go as far to say it's probably been the hardest year of my life but I'm not here to bring negativity to my blog or myself so I'm concentrating on all the wonderful time I had, not the dark ones I wish could magically be erased. Actually I take that back, as hard as some days, weeks and even months were in 2015 and I wish I didn't have to experience them, in a strange way I'm glad I did, they helped me find a strength and happiness within myself I had forgot existed and for that I'm happy about. At the end of the day, as cliche as it sounds, life is what you make it, if you want to be happy and enjoy then do it, don't dwell on the negatives and instead focus on the positives. January started off with me getting my 2nd pair of Christian Louboutin shoes, I'd been eyeing them up since I got my first pair and I was very lucky to get them for my birthday, they're so beautiful, so beautiful in fact that I'm too scared to wear, they've been sat in the box and only walked around my home in the last 11 months, oops! 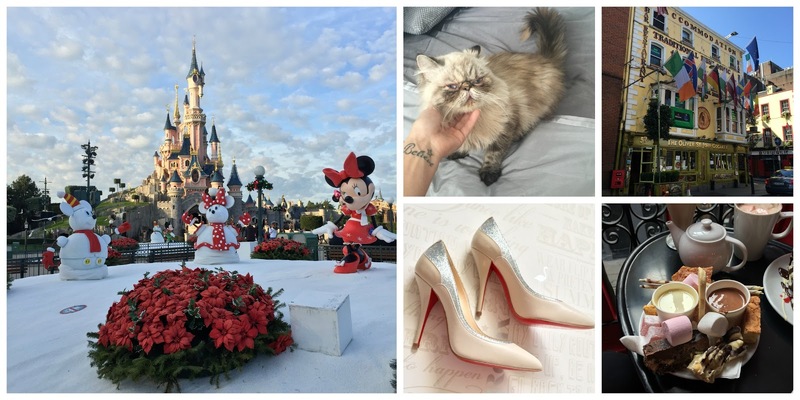 March was super exciting, I took the plunge and spur of the moment, a crazy moment may I add, I booked a trip to Walt Disney World for later in the year after only about 2 weeks previously booking a trip to Disneyland Paris, it was looking to be a very Disney filled second half of 2015. That Month my sister & I took my mum for some tasty treats at Choccywoccydoodah for Mothers day which was a big hit, mainly for them 2 though as I'm not a huge chocolate fan but still enjoyed it. April was another month for some fun times and memories made, I headed back to Dublin for the first time in years with 2 very good friends, we used to go all the times years ago, when we were younger ;) and it was so fun to go back for a weekend of cocktails and reminiscing with them. The second half of the year got quite hectic for me, September came around and I moved, went back to my most happiest place in the world, yes Walt Disney World which was just amazing and exactly what I needed to make some great memories in quite a bad year and then 10 days after coming home I was off to Disneyland Paris, experiencing Halloween season at both parks was fabulous, 2 amazing trips were had and even more excitingly I become a DLP annual passholder, something I thought would never happen but decided what the heck. Having the AP meant of course another trip had to happy before the year was out and I was also very lucky to head back again in December, this time to enjoy the Christmas celebrations, you can read about my crazy day trip here. And I ended the year off bringing my beautiful cat Minnie into my world, she's absolutely adorable and always brings a smile to my face. It's been a nice Christmas time and I'm now excited for my 2016 adventures that I of course will be sharing with you so keep your eyes peeled here and over on Instagram to see where I go. I go into 2016 with a happy outlook, I plan to never look back again, not think about what was, what should have been and what didn't end up how I hoped but look forward to what is to come, exciting plans, future trips, lots of laughs, time spent with special people and making lots of happy memories. 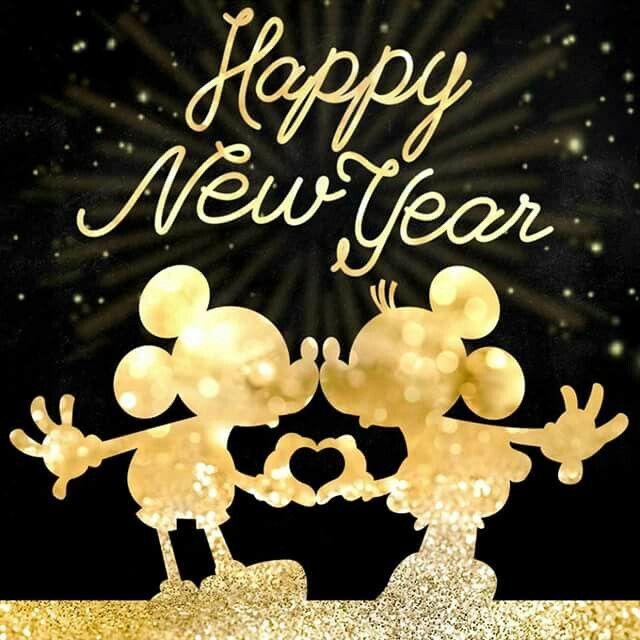 So happy new year to you all, I hope 2016 brings you nothing but happiness, health and magical moments and if you're anything like me, then lots of Disney moments to.